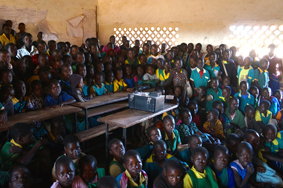 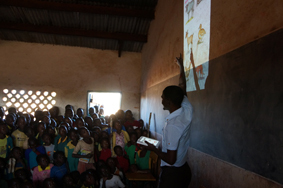 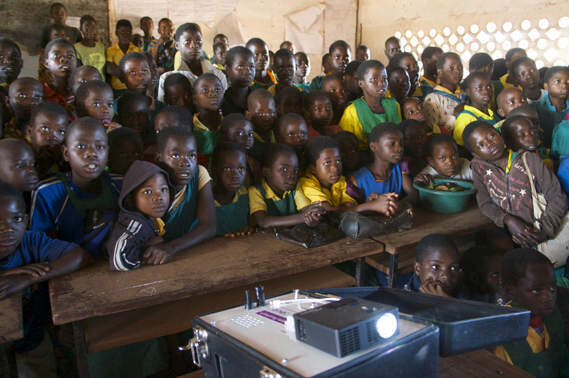 Задача: Onebillion, a not-for-profit developer and publisher of educational apps, wanted to develop a solar-powered projection solution to transform the education of one billion marginalised children. 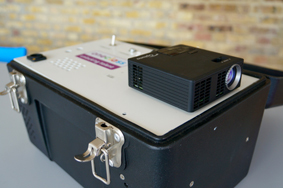 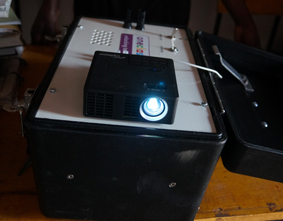 Решение: With the help of Cambridge-based engineer, Chris Moller, onebillion created a portable energy efficient solution with Optoma’s ultra mobile LED ML750e projector. 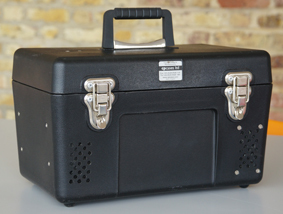 It installed this in a sturdy case with an Apple TV media streamer and an amplified speaker system.